Below is credit-grade conversion information for all semester/academic year programs offered through the IPENG office. 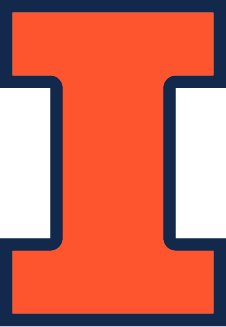 If you are going on campus Illinois Abroad and Global Exchange Office programs, you can find credit-grade conversion information here. Transcripts from foreign universities must reflect a letter or numeric grade for all courses taken. College of Engineering students only receive CR/NC for study abroad courses when they are transferred to the University of Illinois. (The only time a College of Engineering student can receive a letter grade on their Illinois transcript for a study abroad course is if the course is for a major or minor outside the College of Engineering.) Courses which are articulated as a UIUC DIRECT EQUIVALENTS, may not be worth the same UIUC credit. Consult the TABLE below for appropriate Credit and Grade Conversion scales for our schools. If you do not see your school listed please email ipeng@illinois.edu. Following the same rules that apply when taking a course on campus for credit/no credit, you must receive the equivalent of a University of Illinois C- in order to receive credit for a study abroad course. Courses taken for credit/no credit do not affect a student’s GPA. If you are in in another College (College of Business, College of ACES, LAS, etc…), you should follow your College’s instructions. LAS Students will follow LAS Rules. ABE Freshmen and Sophomores will follow the College of ACES rules. Both ABE (Fresh and Sophomores) and CHBE students the CR/NC rule does not apply.